Published as: A. Roche, “In terrena liturgia caelestem illam praegustando participamus:‘In the Earthly Liturgy we Take Part in a Foretaste of that Heavenly Liturgy’ (Sacrosanctum Concilium n° 8)”, Questions Liturgiques/Studies in Liturgy, 94 (2013) 27-36 available here. 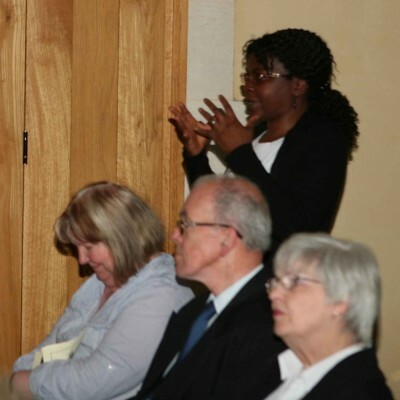 After the lecture, there was an opportunity to ask questions. Rt Revd. 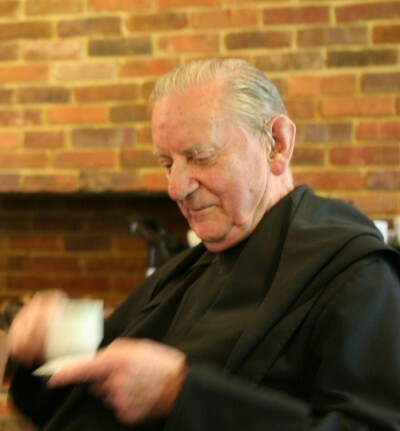 Francis Rossiter, OSB, Abbot President Emeritus, enjoys a cup of coffee. His talk is projected to be published in Questions Liturgiques: Studies in Liturgy. An initial report is expected to appear in The Tablet of London. The first annual St Bede Liturgy Lecture given in 2011 by Fr Ephrem Carr, President of the Pontifical Liturgical Institute, Sant’Anselmo, is now available as, “Sacrosanctum concilium and its Consequences: The Reform of the Liturgy”, Questions Liturgiques: Studies in Liturgy 92 (2011) 183-194. Sponsored by the Institutum Liturgicum. The Most Rev. 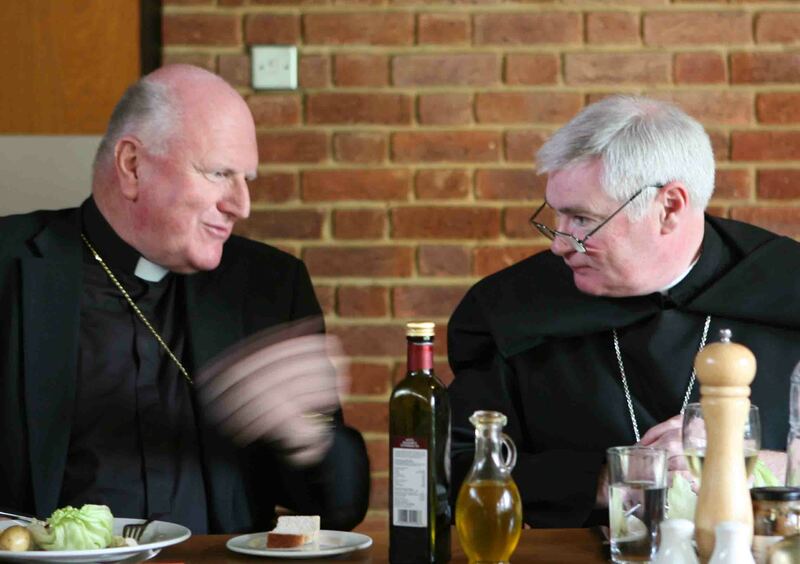 Arthur Roche, the newly appointed Archbishop Secretary of the Sacred Congregation of Divine Worship and the Discipline of the Sacraments, gave the second annual St Bede Lecture on 14 July 2012 at Ealing Abbey. Commenting on a line from Sacrosanctum Concilium, he affirmed that the liturgy is a privileged occasion for the transformation of the quality of life of believers. Such a personal transformation is not merely a product of individual piety and devotion but properly belongs to the assembly gathered in the power of the Spirit and inheres in the celebration of the Church’s liturgy itself. Assembled communities must again be helped to perceive in the liturgy the divine presence transforming the quality of life, a presence which may sadly be neglected when the community is turned inward, distracted by its own performance of a liturgy becoming earthbound and heaven-bereft. Liturgical renewal throughout history has often called the liturgical assembly back to its identity as the body of Christ and to their affective involvement and spiritual engagement with the person of Christ present in the liturgy.